Have you ever wondered how some people seem to finish computer tasks so quickly? Have you ever become frustrated when your computer’s trackpad or mouse fails to keep up with the actions that you need to complete? If you have answered “yes,” then you are not alone. 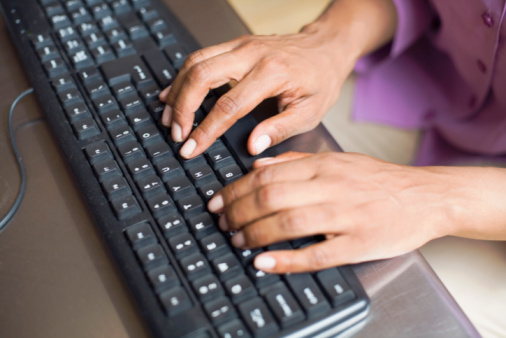 All too often, employers assume that their employees know handy keyboard shortcuts that can potentially save them hours of time. Why Should You Learn Keyboard Shortcuts? For many people, keyboard shortcuts seem like a waste of time. They seem like something that could more easily be accomplished with a mouse and the toolbar options. However, when committed to memory and used properly, keyboard shortcuts can in fact save you time. As any employee knows, the more time that you can save, the easier it will be for you to efficiently meet all of your daily, weekly, monthly, and even yearly goals without having to work overtime. Not only can you save time completing even the most basic of computer tasks, but in the event that your mouse stops working, you will still be able to use keyboard shortcuts as a valuable solution. As listed on Microsoft’s website,there are hundreds, if not thousands, of keyboard shortcuts that you can learn and use on the Windows 10 operating system. However, to make this list more manageable, here are the following top five shortcuts that you can use on a daily basis. Undo & Redo — CTRL + Z will undo any action. It is a particularly helpful tool when you are completing tasks that require a lot of guess work or trial and error, such as formatting a proposal for submission or editing images. The counterpart to CTRL + Zis the redo command, which is CTRL + Y. Moving Between Tabs — Moving between tabs can be frustrating when you have to constantly click new windows with your mouse. Fortunately, holding the ALT button will let you see every tab that is currently open. You can then use CTRL + TABinside of a program to more easily switch between available tabs. Save, Open, and Print Files — CTRL + S is used to save whatever file you are working on. As any employee in any industry can attest to, there is nothing worse than the heart-wrenching moment when you forget to save a file and accidentally exit out of the program. CTRL + O is the efficient way to open a file into any program that you are using, while CTRL + P is the easy way to print your open files. Open Start Menu — The WIN command will open the Start Menu in Windows 10. It will also allow you to immediately begin a search term, which is incredibly helpful when you have a computer filled with tens of thousands of files and you need to find an exact version. Cut, Copy, Paste, and Select All — The following three terms are ideal for any employee that is constantly working with documents and needs to complete work in a timely fashion: CTRL + X is used to cut highlighted text and place it on the clipboard; CTRL + C will allow you to copy text and place it where needed; and CTRL + V is used to paste copied text to the clipboard or cursor position. CTRL + A is the easy-to-use command that allows you to select everything that is displayed in a current space. This shortcut is a tremendous time saver for anyone who needs to select every element on the page, including text, images, and formatting. With these easy-to-implement shortcuts at the ready, Windows 10 will transform into a more user-friendly operating system. Haxxess Enterprise Corporation is the trusted choice when it comes to staying ahead of the latest information technology tips, tricks, and news. Contact us at (705) 222. -TECH or send us an email at info@haxxess.com for more information.